Cervical spondylosis is a medical term for the usual wear and tear that occurs in the vertebral column due to aging and physicality. Spondylosis is virtually always markedly present in the cervical spines of adults over the age of 40. In fact, the older a person gets, the more pronounced these degenerative changes become. Spondylosis is actually a diagnostic term that encompasses both disc-related changes and their subsequent effects on the bony structures of the backbone. 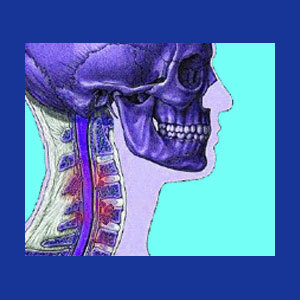 In many applications, spondylosis is a direct reference to osteoarthritic processes that act on the cervical spine. This essay details spondylosis in the neck, including the causes of age-related changes to the cervical anatomy, the consequences of these changes and the usual treatment options for patients who experience pain as a result of spinal deterioration. Spondylosis describes the alterations in the spinal anatomy that are caused by the osteo variety of arthritis. These changes include the growth of osteophytes on the vertebral bodies and joints, the accumulation of arthritic debris within the spinal canal and the loss of protective measures, such as cartilage and synovial fluid in and around the vertebral linkages. Although often described as alterations to the spinal discs, this is an inaccurate definition of spondylosis. The desiccation of the discs results in spondylotic changes in the bones, but these changes are demonstrated in the skeletal structures, not in the intervertebral tissues. Basically spondylosis describes the typical structural transformation of the spine that is enacted by completely normal, expected and universal arthritic processes. As mentioned above, one of the major causations of cervical arthritis is the universal existence of disc desiccation, particularly in the lumbar and cervical levels. Discs dry out, then lose mass and height, as normal parts of getting older. As the discs get smaller, the vertebrae get closer to one another and interact more often, leaving visual evidence of increased contact. Meanwhile, the protective measures of the spinal joints begin to show degeneration by the age of 30 to 40 in most adults. The cartilage wears thin and the lubricating fluid in the joints dries up. These changes create further bone to bone interactions within the joints. As bones wear against each other, they become rough and damaged. The surfaces form spurs and these osteophytes can cause problems when they interact with spinal neurological tissues or when they interfere with typical joint movement. Most spondylosis is not symptomatic at all, or only mildly and occasionally symptomatic. Symptoms that do develop are usually minor and consist of general regional soreness or small sparks of dull pain in the spine. These expressions are often worsened by movement, weather or positioning. Some patients may have more substantial pain or pain in larger areas of the spine. A small minority of spondylosis sufferers will experience acute pain or serious chronic pain from particularly troublesome areas of joint spur formation or from spinal stenosis and/or foraminal stenosis that is enacted by osteophyte and arthritic accumulations within the central or neuroforaminal canals. 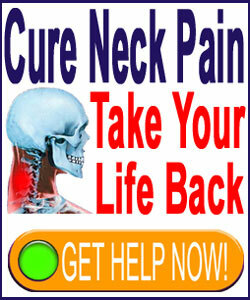 Remember that the progression of degeneration of the spinal structures is in constant flux, with the existence of pathological conditions becoming possible at any virtually any stage of deterioration, as well as the possibility of problematic areas of arthritis resolving themselves with time and continued wear. Basically this means that even when serious symptoms result, they may disappear with time, even when no treatment is rendered. This is especially true for bone spurs that reside within the spinal joints, eliciting pain through mechanical interactions. These structures can wear down to asymptomatic levels by themselves, although this occurrence is certainly not a rule. Patients who experience pain that is actually caused by spondylosis, or suspected of being caused by spondylosis, are usually cared for conservatively within the back and neck treatment industry. Pharmaceutical therapy remains the most popular and widely used form of care. The use of drugs is the best example of symptom-based treatment and is greatly limited in its benefits, although it certainly does demonstrate many health risks, particularly when utilized for extended periods of time. Patients might decide to pursue complementary practices to relieve arthritic pain, as well. Chiropractic, acupuncture and massage are all cited as being beneficial for some forms of spondylosis-related pain. Injection therapies are typically used in patients with joint pain that is deemed to be physically restricting. These facet injections consist of steroids and long lasting anesthetics. Once again, these are temporary fixes, just like oral drug therapies, and maintain a high degree of risk for injury. Surgery is used in select cases of spondylosis symptoms. Most often, the procedures fall into 2 distinct categories of treatment, each with unique therapeutic objectives in mind: The first type of operation for cervical spondylosis consists of procedures that are geared towards relieving stenosis of the central canal or foraminal openings. The objective of these interventions is to remove arthritic accumulations that are impinging on nerve tissues. Therefore, sections of bone will be removed and the spinal nerve or spinal cord will be decompressed surgically. The second, and less invasive, form of spondylosis surgery involves removing areas of problematic osteophyte activity, typically from around the facet joints. There is no method of preventing spondylosis from occurring, nor is there any way of reversing the arthritic processes. Patients must accept that spondylosis is natural to experience as they get older and must not think that they are affected by any disease or abnormal process, upon diagnosis. Just because spinal aging has occurred does not mean that the structural changes will be painful. Always keep this in mind if you have severe neck ache that is blamed on what amounts to completely typical spondylotic changes. We recommend seeking several diagnostic opinions before beginning any type of treatment for normal spinal arthritis. Furthermore, we advise to fully understand the many treatment options that do exist, should therapy become necessary, and to stay away from the most dangerous methods of care whenever possible. Yes, this recommended warning includes the use of prescription drugs, like NSAIDS and powerful analgesics.